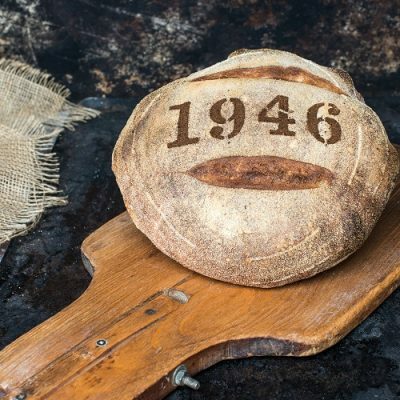 To celebrate 70 years of Bells of Lazonby and our fascinating baking heritage, we created a delicious 1946 White Sourdough Boule. 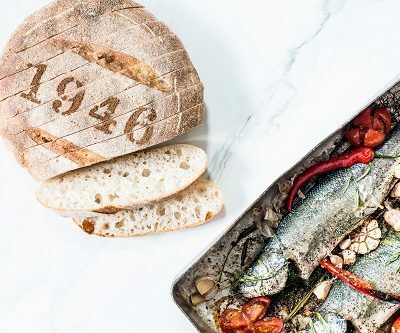 This wonderful bread has a touch of rye and is an incredibly versatile accompaniment that will go with any meal throughout the day. 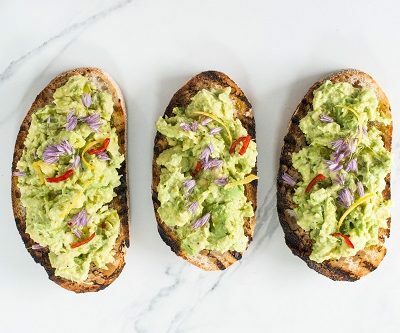 Try toasting it for breakfast, as a sandwich for lunch or even on the side of delicious evening meal. 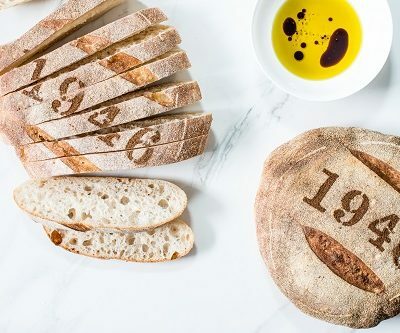 Fortified Wheat Flour (Wheat Flour, Iron, Niacin, Thiamin, Calcium Carbonate), Water, Rye Flour, Salt, Acidifier: Acetic Acid, Ascorbic Acid; Roasted Malted Wheat Flour, Rice Flour, Malted Barley, Sugar, Dextrose monohydrate.